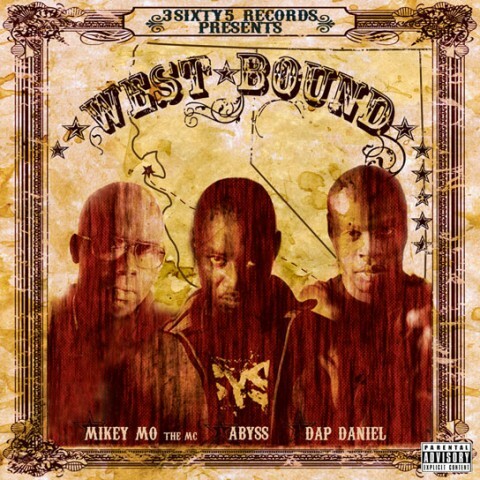 Inspired by The West Bound Tour of 2005, Mikey Mo The MC, Abyss, & Dap Daniel got together to record one of the dopest Hip Hop albums to come out of The Bay Area. WEST BOUND delivers that raw Hip Hop straight from the West Coast with an East Bay mentality! Each MC brings their own style to the album while complementing one another on the mic. The production work by Abyss & Dap Daniel on the album is incomparable, with bangin’ beats from beginning to end. DJ Daeta (Jimi Handtrix Crew/Home Grown Blends) is also featured on two tracks cutting it up. Support the movement and buy the album!